The NC State University PDA promotes the building of community among postdoctoral scholars at North Carolina State University and serves as the voice for postdocs across campus. The PDA also works with and supports the endeavors of the Office of Postdoctoral Affairs, and both entities strive to create an environment where postdoctoral scholars have an enriching and rewarding experience during their tenure at the university. Contact one of the officers to find out more about the PDA, to share concerns, or to get involved. From happy hours to international lunches and weekend events, the PDA works hard to build a sense of community for NC State postdocs. 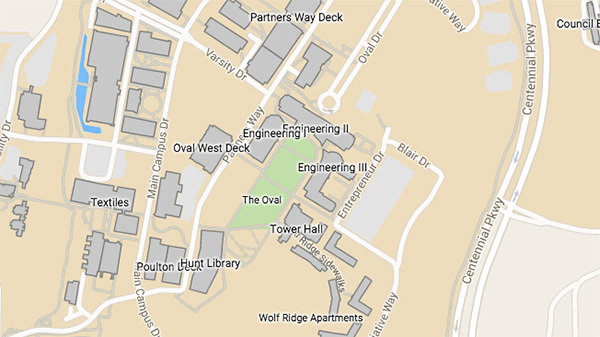 Stay in the loop regarding on and off campus social and professional development events with our NCSU Postdoc Events Google Calendar. 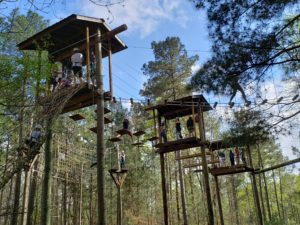 Check out pictures from our visit to the NC State Ropes Challenge Course on Saturday, April 6, 2019. National Postdoc Appreciation Week is an annual week-long celebration to recognize the contributions of our postdocs and house officers to our institution. The 2018 Postdoc Appreciation Week was September 17th – 21st.